An all-new Chevrolet Caprice Police Patrol Vehicle (PPV) will join the ranks of law enforcement departments across North America in 2011. It's a modern, full-size, rear-drive sedan that will offer both V-8 and V-6 engines, as well as a host of specialized equipment and features. Chevrolet made the announcement at the annual International Association of Chiefs of Police convention, in Denver, Colorado. The Caprice PPV will be available for ordering next year and will hit the streets in early 2011. 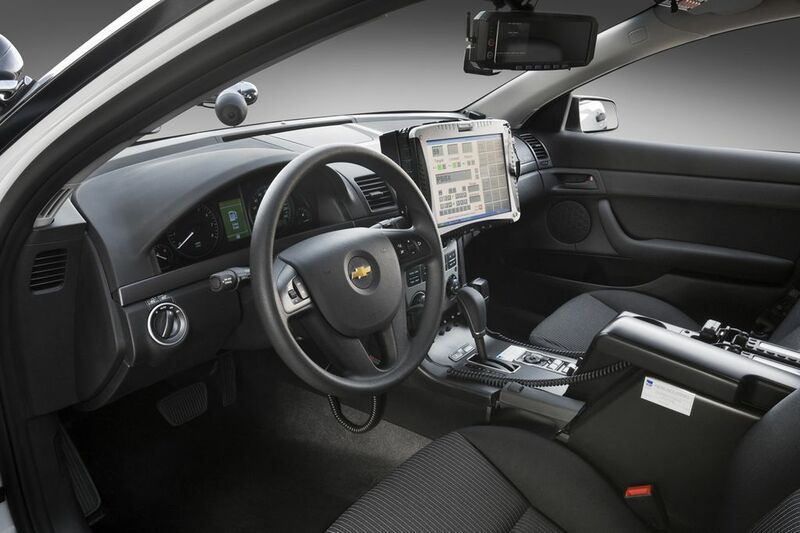 "The new Chevrolet Caprice police car is the right tool at the right time for law enforcement," said Jim Campbell, general manager for GM Fleet and Commercial Operations. "We asked for a lot of feedback from our police customers, which helped us develop a vehicle that is superior to the Crown Victoria in key areas." 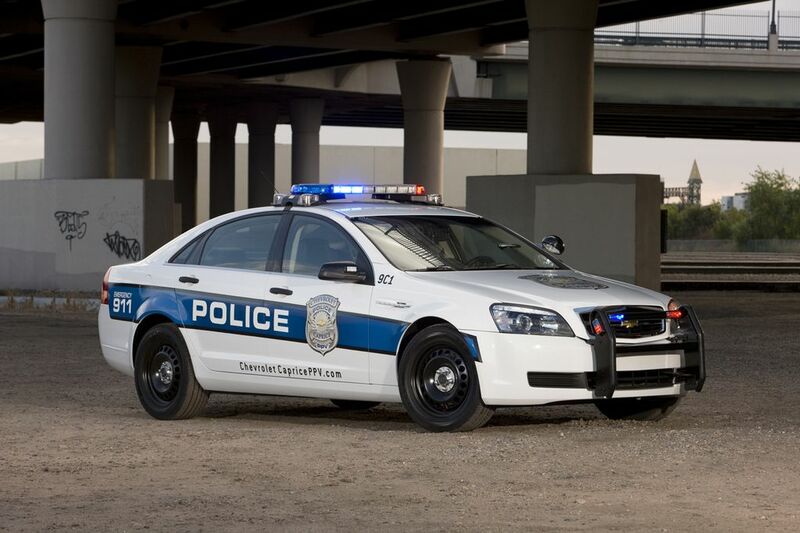 Vice President, Global Chevrolet Brand Brent Dewar added, "Along with Impala and Tahoe, the Caprice PPV gives agencies a greater range of choices for police and special service vehicles that are all available from Chevrolet." The front seats are sculpted to "pocket" the equipment belt, which greatly increases the comfort for a great range of police officer sizes. The foam density of the seatback and cushion insert surfaces are designed to conform to the shape of an equipment belt's various items, too, allowing the officer's back to rest properly on the seatback surface. 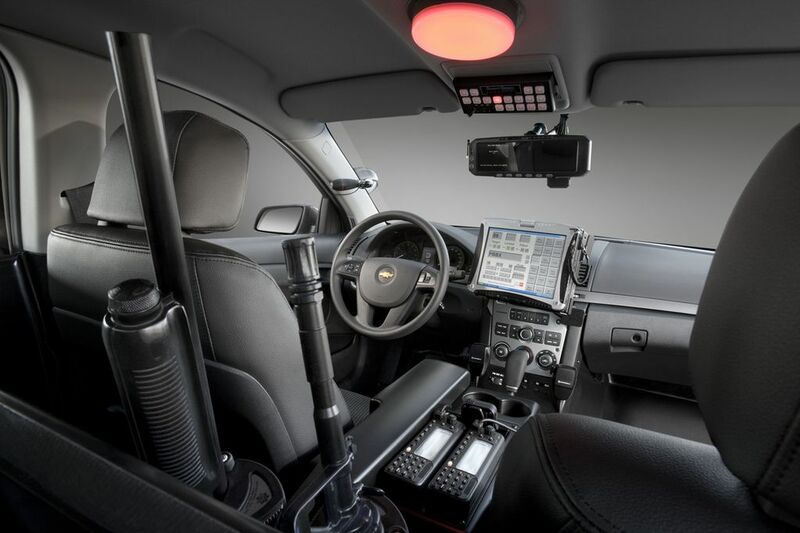 "The Chevrolet Caprice PPV's seats represent a revolution in comfort and utility for officers who spend long hours in their car," said Bob Demick, lead seat design manager. "The shape also enhances entry and egress, making it easier for officers to exit the vehicle quickly. The seatback bolsters, for example, have been purposefully contoured to help pocket the equipment on the belt, which includes the gun, Taser and handcuffs, which rest comfortably in the sculpted lower bolsters. That also increases the longevity of the trim cover surface." Along with comfort, the materials used in the seats were also carefully selected. High-wear materials were chosen to stand up to long hours of everyday use, while breathability, long-term durability and ease of cleaning were also important criteria. 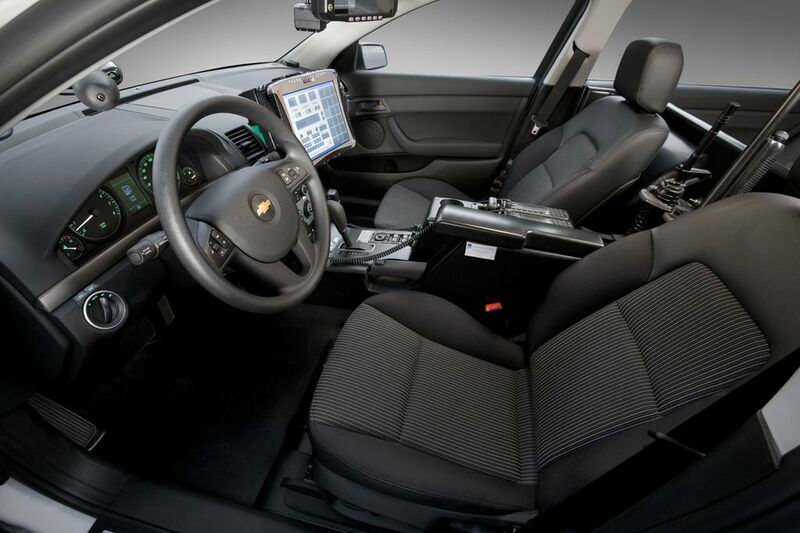 Engineers worked on several iterations of the seat, testing a couple of versions in the field to get real-world feedback from police officers, who used prototype seats in their cruisers for a month. Their input helped determine the final design. The Caprice PPV is based on GM's global rear-drive family of vehicles that also underpins the Chevy Camaro. It uses the longest wheelbase of the architecture – 118.5 inches (3,010 mm) – along with a four-wheel independent suspension that delivers responsive high-performance driving characteristics that are crucial in some police scenarios. * At 18 cubic feet (535 liters) free space (beyond battery located in trunk), the Caprice's trunk volume is large enough to accommodate a full-size spare tire under a flat load surface in the trunk storage area. * Driver information center in the instrument cluster with selectable speed tracking feature. A host of complementary features are also offered, including special equipment packages such as spotlights; lockouts for the power windows and locks; and an "undercover" street-appearance package (9C3). To enable more room for interior equipment, the standard radio can be relocated to the trunk, allowing for an in-dash, touch-screen computer to be used. Chevrolet's history with law enforcement is almost as old as the brand itself. Police departments have used Chevy sedans as police cars for decades, ordering them with basic equipment and powerful V-8 engines – including some special engines that weren't available in regular-production models, such as the 1959 Biscayne that was offered with up to 315 horsepower. 1976 – The 9C1 order code is given for the first time to a full-size Chevy police car package. It carries the Impala name. 1977 – The full-size Chevy is downsized. The 9C1 police package is retained, as is the Impala name. 1986 – The Caprice name replaces Impala, as the car is updated for the mid- and late-1980s – including the option of a powerful, 5.7-liter small-block V-8. 1991 – A new-generation Caprice is launched, with the 9C1 police car still on the beat. 1994 – The 260-horsepower (194 Nm) LT1 V-8 engine is offered in the Caprice 9C1, making it one of the fastest full-size police cars ever offered. 1996 – Caprice police car production ends, as GM's full-size, body-on-frame car architecture is discontinued. 2011 – The Caprice PPV returns to active duty.